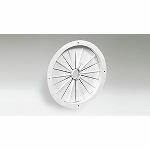 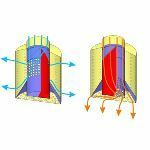 Description: The RVD Radial Vane Diffuser: Is constructed from galvanized steel. 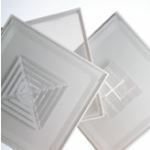 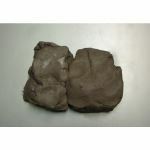 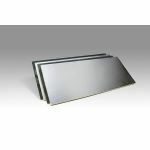 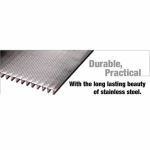 Is able to withstand a variety of temperature and pressure conditions. 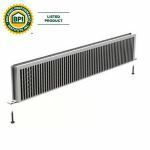 Description: Architectural Grille offers the original Spackle In J-Frame Bar Grille with a variety of core styles depending on desired deflection and diffusion for any modern space. 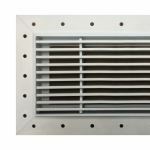 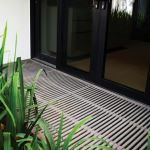 Description: Flexibility and strength of material provides designers freedom to design beautiful architectural ventilation grilles vertically or horizontally. 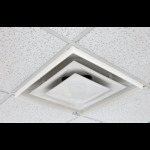 Description: The Dust Deflector is a one-piece plastic deflector that suspends one inch below the ceiling line and prevents the buildup of dust and dirt on the ceiling tiles surrounding the air vents.